I believe you have heard of the "VINE VOICE" review program, which is Amazon's official review program. Normally only vendors who got Amazon's invitation can apply for this program with an application fee of $2500. But before you apply, please make sure you read this post carefully and understand everything about it. What is the Difference between VINE and Verified Reviews? Who is Eligible for VINE Reviews? How to Get VINE Reviews for Your Amazon Product? This is how a VINE review looks like. Instead of showing "Verified Purchase", it shows the VINE VOICE badge on the review. Amazon carefully selected a group of buyers who used to leave high quality and helpful reviews and invited them to join the VINE community. After your application for the VINE program is approved by Amazon, your product will be added in the community. VINE reviewers can choose the products they like to get a free sample. They are required by Amazon to leave their honest reviews within 30 days after they receive the product. But there is a chance that they may claim your product and don't leave a review. In that case, Amazon will remove them from the community. So normally your review rate should be around 95-100%. Obviously, there is no guarantee that you will receive 5-star reviews. So please hand-pick the best units before you ship them to the Amazon VINE warehouse in order to get good reviews! Super high quality reviews which carry high weight given by Amazon. You can upvote the good reviews to the top with the review voter tool, which will improve your listing's trust in buyers' eyes. VINE reviews will not be removed by Amazon forever unless you manipulate reviews after that. VINE reviewers like to provide long and in-depth reviews with images which look very trustworthy to buyers. 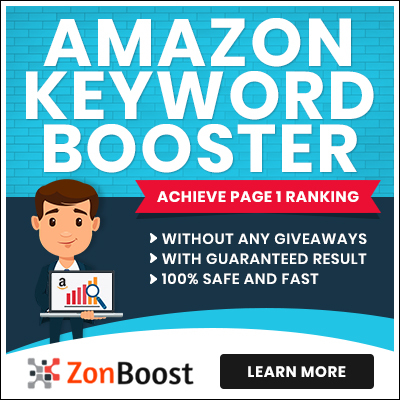 It can significantly boost the quality score of the whole listing in Amazon's algorithm, which is a very important ranking factor especially for new products. You may receive bad reviews if your product quality is bad. Read this: How do I remove bad reviews on my listing? You can't control the review speed or check the product-claim status. We have seen some sellers get 30 reviews in a month, but some only got 5 reviews in 2 months, which all depends on whether your product is attractive to those reviewers. Currently there are lots of sellers doing VINE reviews in the Amazon USA market which makes the speed of getting reviews in USA slower than other markets. Amazon will keep your product in their VINE community until all units have been claimed by reviewers. Your product is live and available for sale on Amazon. You never applied for VINE before for this ASIN. You have a UPC code for this ASIN. Your product has no less than 5 images. You have filled in all the product details such as weight, size, package size, etc. in your sellercentral. Usually it takes 1-5 days for Amazon to approve it. You will get the product labels and box labels. Please stick the product labels on each unit, you can ship up to 35 units per ASIN for 1 application. As mentioned above, you will get up to 35 reviews if you ship 35 units. Review rate is around 95-100%. Stick the box labels on your shipping boxes. Usually Amazon will provide extra box labels just in case you need it. You only need to use the amounts you need. Don't need to use up all the box labels. Pay for your shipping and ship it to the VINE warehouse address showing on the box labels. Wait for reviews to come. Please note that it is very common for VINE reviews to come in a slow speed if your product is not attractive to VINE reviewers. Sometimes it may take a few months to get all reviews done. But that is actually a good thing as it looks more natural and safe. What's the next steps after you get enough reviews? Improve your listing conversion rate further with video uploads. Launch your product to page 1 of big keywords. Hack the Frequently Bought Together of best sellers to get free traffic.